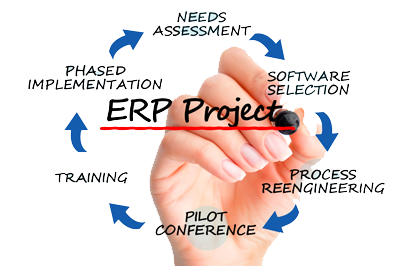 Our ERP Customization Solutions can help your company refine its processes, performance, and reporting. As a company scales and modifies their products and services , they quite often find that the way in which they provide and manage these products and services must evolve as well. It is therefore inevitable that the vanilla, off-the-shelf software or ERP solution that sufficed as-is initially, would hardly match the company’s goals and business practices going forward. This does not necessarily reflect a short coming of the vendor’s ERP ‘boxed’ solution. In fact, this is expected. Vendors often build in the means necessary for software developers such as ourselves to do this seamlessly. Contact us or share your Requirements with us to find out how we can help you meet and exceed your business goals.